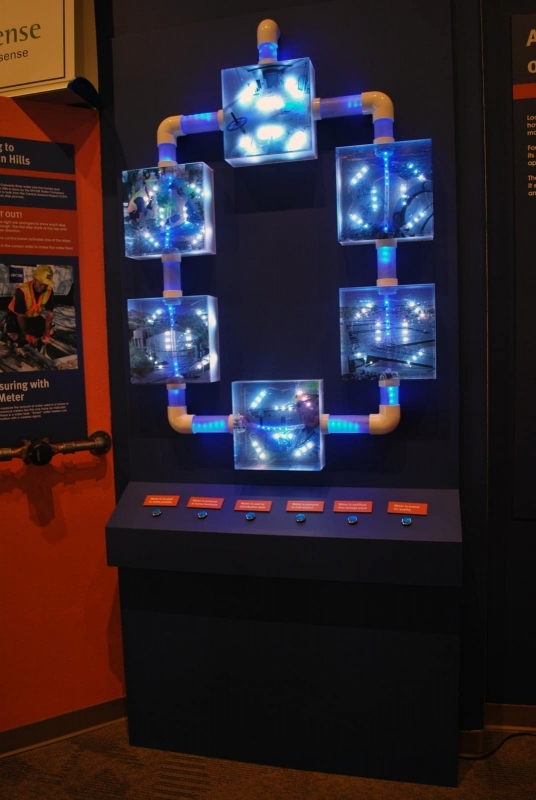 River of Time Museum: Interactive Exhibits - CK Valenti Designs, Inc. 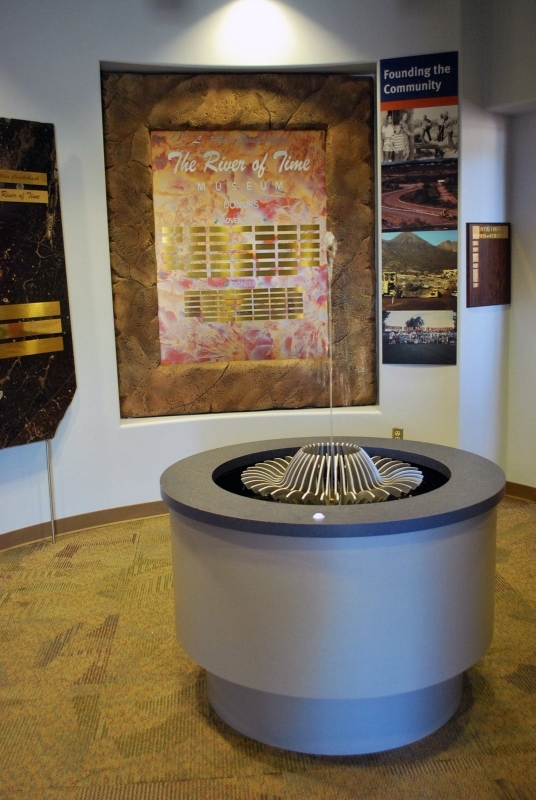 In 2015, Luke Bate, Director of the River of Time Museum, reached out to us with the idea of creating a “new” fountain for the Fountain Hills community. He asked us to build a small-scale model of the famous fountain in Fountain Hills. 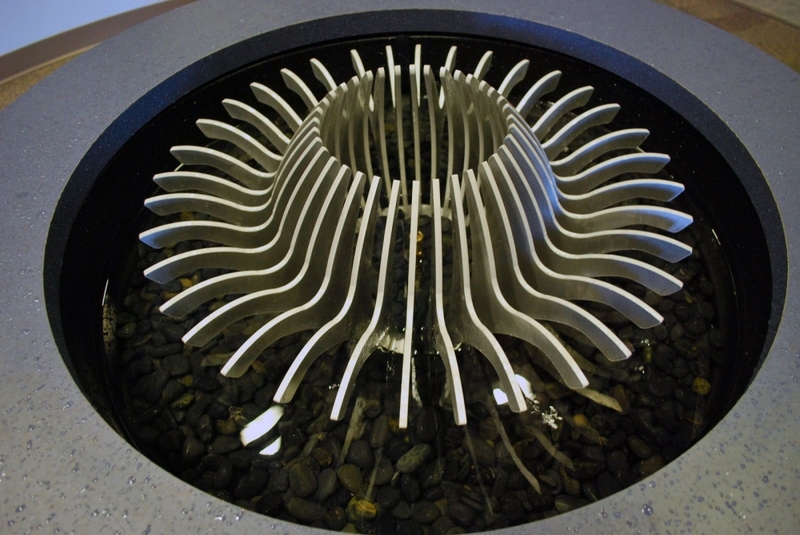 The model allows museum visitors to understand how the water flows within the fountain at Fountain Park. 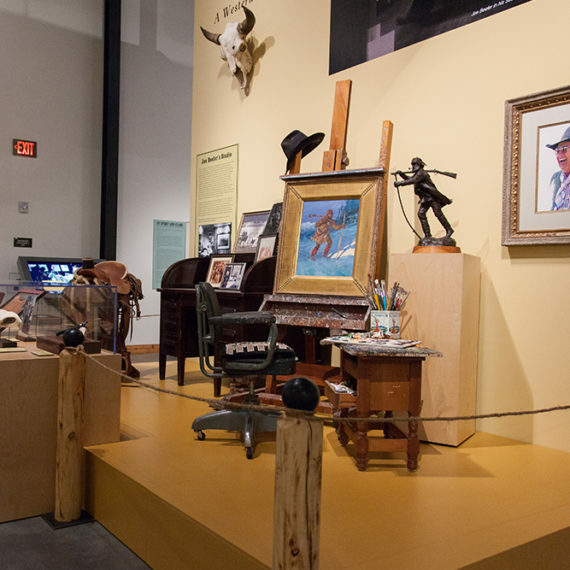 Our projects at the River of Time Museum are excellent examples of our ability to meld craftsmanship with technology to create engaging interactive displays. 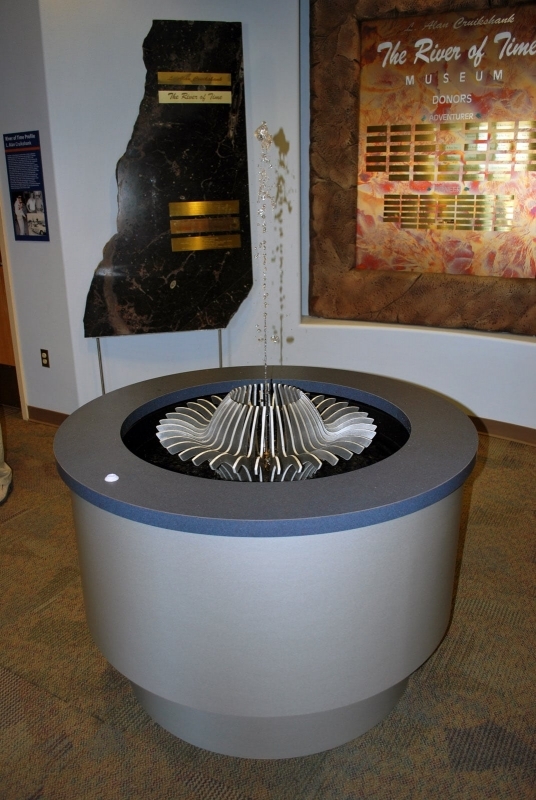 Learn more about the River of Time Museum and its exhibits at rotmuseum.org. 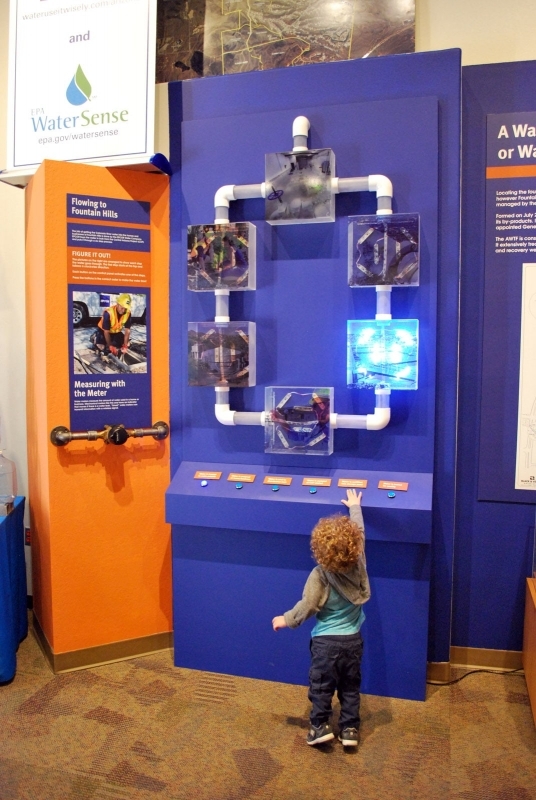 This interactive game shows six phases of the water pumping cycle and invites the player to press the buttons in the correct order based on the photos. The cycle boxes light up as they are pressed. If the order is correct, the lights indicate the correct cycle. If in the wrong order, a buzzer sounds. Made from clear PVC pipe with led lighting, a press-button kiosk panel, and custom electronics. Mini version of the actual fountain at the center of the Fountain Hills, Arizona community. Jet of water shoots 3-4 feet in the air with the push of a button. The fountain structure is a scaled version of the actual construction and is made from aluminum. Intended to simulate an old style pump, this interactive includes built-in custom electronics to trigger an electric high flow pump when the lever of the manual pump is pressed. 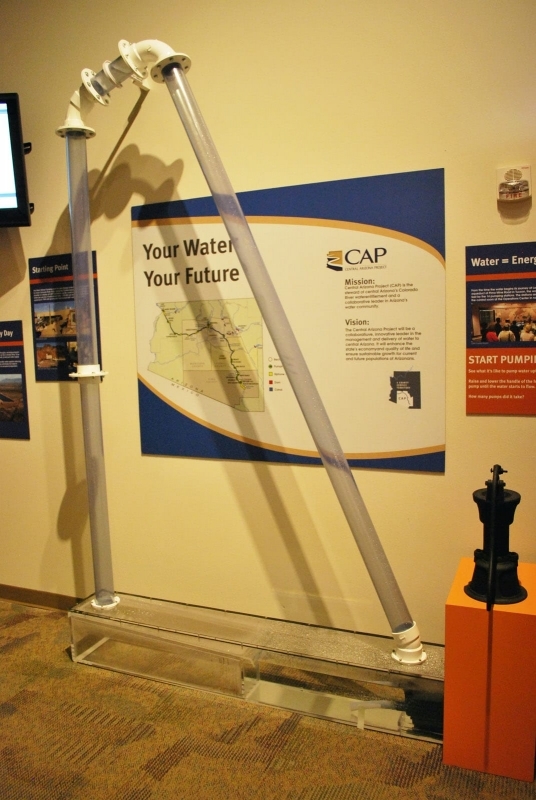 The interactive demonstrates that work is needed to get water from one location to another. Made from clear PVC pipe and simulated industrial coupled fittings, and complete with simulated pumping sounds from speakers hidden in manual pump.